In 1944, John L. Savage, a senior engineer from the United States Bureau of Reclamation, arrived in China. Much of the country was still occupied by Japanese troops, but Savage was a guest of Chiang Kai-Shek’s Nationalist government, with a mandate to survey and design what was known as the “Yangtze Gorge Project”. Savage called it his “dream dam”, but it wasn’t completed until 2012 — now known as the Three Gorges Dam. Savage’s role is only the most obvious link between America’s early 20th century dam-building fever and a similar process unfolding in China today, as “DamNation” a new film makes clear. The contexts could hardly be more different, but the parallels are striking. Just as Savage promoted the Bureau’s dam delirium in China and other countries, Chinese investors and experts are now developing dams in 74 countries. The World Bank is no longer the largest international funder of dams; Chinese financial institutions are. According to International Rivers, China is already home to over 87,000 dams, and the government has admitted that 40,000 of them are at risk of being breached. The country’s 25,000-plus large dams constitute half of the global total. 23 million people have been displaced to build them, says International Rivers, and 30% of China’s rivers are severely polluted, much of it attributable to dams. Flood control and irrigation were the rationales loudly trumpeted in the 1950s and 60s; today it’s more often about hydropower, whose value as a “green” energy source is a matter of debate. In short, China’s history of dams is a very American story. 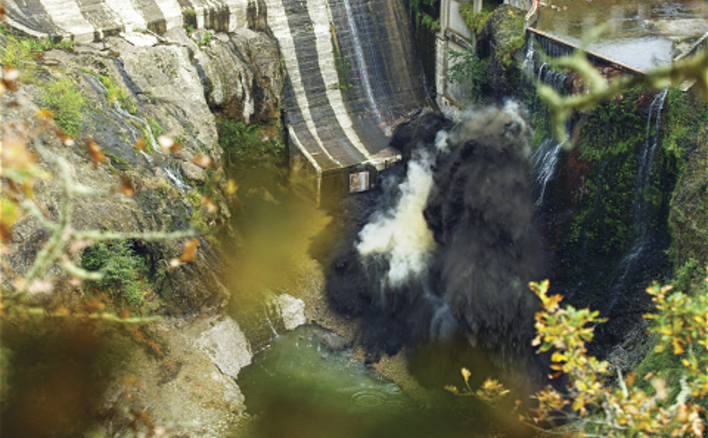 The film chronicles the devastating effects of America’s dam obsession, which only began to ebb in the 1970s. 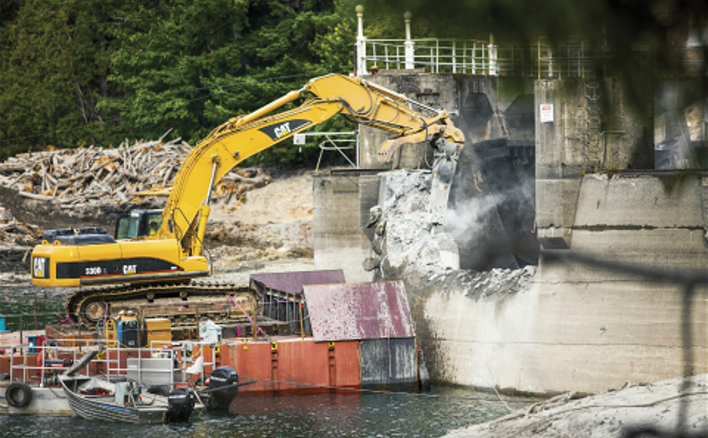 More than that, it brings alive the increasingly successful movement to decommission and demolish American dams, reversing a history that badly needs reversing. “DamNation” begins with the American Three Gorges, Nevada’s Hoover Dam. We hear President Franklin Roosevelt’s dedication speech from 1935, in which he calls the new dam “a great feat of mankind” and asserts that “as an unregulated river, the Colorado added little of value to the region this dam serves.” Then we cut to Washington State’s Elwha Dam in the present day, where the resident engineer is powering down the turbine on the dam’s last day. The river will soon be whole again. America has some 80,000 dams, as if one had been built each day since Thomas Jefferson was president. “We took it too far,” as director-narrator Ben Knight says. How this came about is a familiar story to American environmentalists, memorably captured in Marc Reisner’s book Cadillac Desert, but “DamNation” re-tells it well. 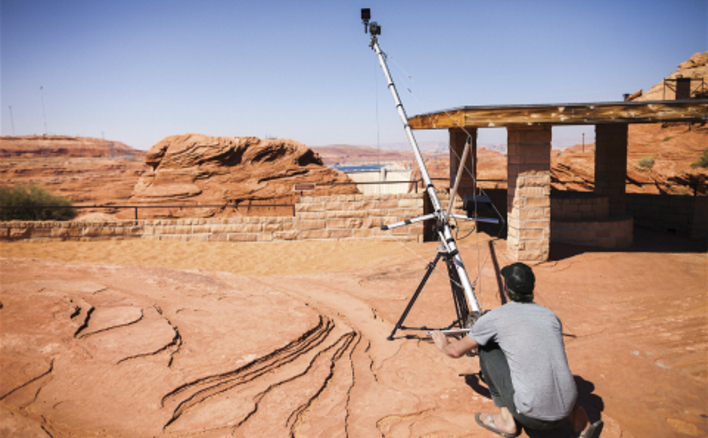 Driven by mining and ranching booms, the first push to settle the arid American West was arguably foundering when Congress devised a way to fund irrigation schemes through federal land sales to farmers. 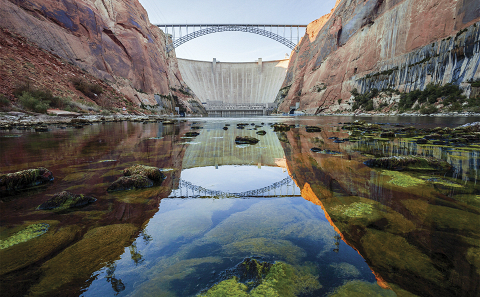 The result was the Reclamation Act of 1902, which ultimately empowered two otherwise low-profile federal bureaucracies — the Bureau of Reclamation and the US Army Corps of Engineers — to dam just about every river in the West. Local officials and business elites benefited handsomely as “useless” rivers were diverted to make “the Great American Desert” fertile and habitable. Not to mention lakes for “recreation”, excess power for American industry, and drinking water for growing west coast cities. Many western rivers “have been made to run like machines” from computers located hundreds of miles away. The darker and more lasting impacts were largely ignored. 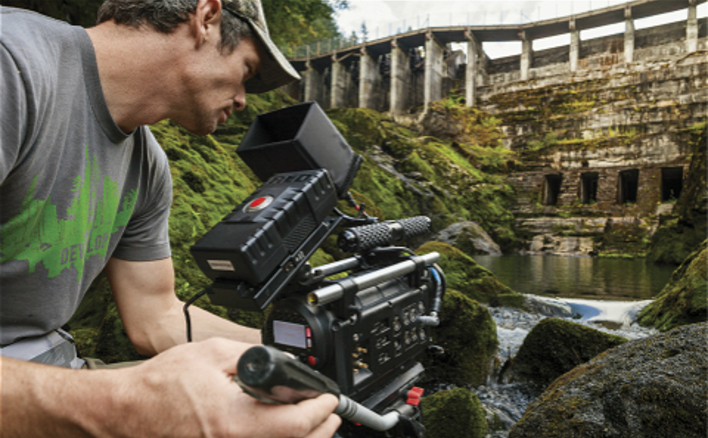 “DamNation” documents them convincingly, but focuses unduly on the Pacific Northwest and the destruction of that region’s famous salmon runs, formerly an economic mainstay. Anyone who has witnessed this prodigious wonder of animal migration — today Alaska is the best place to see it — will understand what a catastrophic loss this has been, and the importance of long-term restoration efforts. “They completely tore my country apart” is the way a Nez Perce elder puts it. His tribe once depended on dip-net fishing at Celilo Falls, a series of cascades and waterfalls on the mighty Columbia River. The construction of the Dalles Dam in 1957 both destroyed those fishing grounds and submerged the tribe’s nearby settlements: “cultural genocide,” as the elder describes it. “DamNation” stokes our rage over such cases — and the beautiful, liberal Pacific Northwest has unsurprisingly been a key focus for the anti-dam movement — but doesn’t tell us enough about lesser-known dams deeply embedded in less charismatic locales. The two US states with the most dams are Texas and Kansas. As it is, “DamNation” covers an impressive amount of ground, taking us in rapid succession from a conservative pro-dam rally to a salmon hatchery (“a mitigation facility” that provides “a very expensive illusion of a salmon run”) to a “fish watch station” manned for over 13 years by a droll activist with Parkinson’s. The best scenes of all take us into the fearless gonzo heart of the anti-dam movement: painting cracks on dams with Earth First! 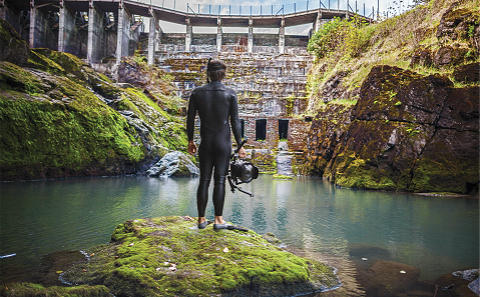 activist Mikal Jakubal, canoeing right up to a supposedly navigable lock, and — most spectacularly — hiding out by Washington’s Condit Dam for 18 hours to get stunning time-lapse footage of its triumphant destruction. It’s remarkable to watch all the backed-up silt slide away towards the ocean and to see how quickly the watershed starts coming back to life. Despite that inconsequential quirk...this is a serious issue that highlights directly the problems of claims not equaling results. The overall green image of hydro is largely - as pointed out in this and linked to articles - not the reality that we were fed. Im excited to see this film. Ross Perlin is a writer and linguist. His book Intern Nation: How to Earn Nothing and Learn Little in the Brave New Economy is out in paperback and ebook this year from Verso.